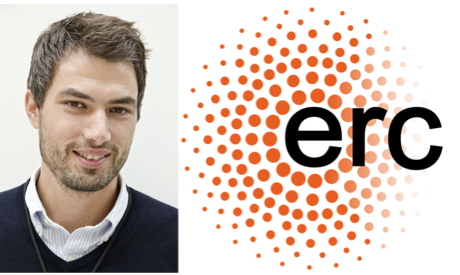 The European Research Council (ERC) has awarded a Starting Grant 2017 to Kyrre Eeg Emblem from Department of Diagnostic Physics at the Divsion of Radiology & Nuclear Medicine. 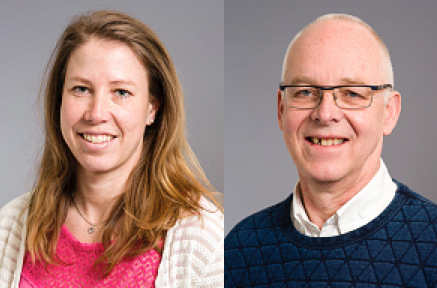 This is the seventh ERC Starting Grant awarded to Norway in the main panel Life Sciences (LS), and the first time Oslo University Hospital is the host institution. In competition with over 3000 other applicants of all research disciplines from Europe and world-wide, Emblem’s project titled ‘ImPRESS - Imaging Perfusion Restrictions from Extracellular Solid Stress’ was among the applications recommended for funding from the ERC in the panel LS7- ‘Diagnostics, Therapies, Applied Medical Technology and Public Health’. This recognition followed a two-step application process, including candidate interviews in Brussels in June of 2017. The project ImPRESS main objective is to develop a new imaging paradigm coined ‘Restricted Perfusion Imaging (RPI)’ to reveal vascular restrictions caused by mechanical forces in patients with primary and metastatic brain cancers, and use RPI to demonstrate that alleviating this force will repair the cancerous microenvironment and improve therapeutic response. In addition to the Department of Diagnostic Physics (Division of Radiology and Nuclear Medicine), key participants at Oslo University Hospital includes the Departments of Oncology (main collaborators: Petter Brandal, Åslaug Helland), Radiology (Paulina Due-Tønnessen, Cathrine Saxhaug), the Intervention Centre (Per Kristian Hol,) and Neurosurgery (Torstein Meling, Einar Vik-Mo). A strong consortium of national and international collaborators will help reach the project objectives. The total project budget is approximately €2.500.000, of which the ERC awards €1.500.000. - There are many people who deserve credit, Emblem notes. - In addition to the project participants, this award would not have been possible without the instrumental help of the team for external funding at the Research Support Unit. In particular, Asbjørn Ousland and Camilla Lien Sandnes have been tremendous. - And now the real work begins, Emblem adds. Kyrre Eeg Emblem is a research group leader at the Department of Diagnostic Physics (https://www.ous-research.no/emblem/). His work includes Magnetic Resonance Imaging (MRI) in clinical cancer therapy. He has received the FRIPRO Young Research Talents grant from The Research Council of Norway and the only extended career fellowship grant awarded from The South-Eastern Norway Regional Health Authority. The ERC complements other funding activities in Europe such as those of the national research funding agencies, and is a flagship component of Horizon 2020, the European Union's Research Framework Programme for 2014 to 2020. The ERC's mission is to encourage the highest quality research in Europe through competitive funding and to support investigator-driven frontier research across all field. The sole criterion for selection is scientific excellence. ERC Starting Grants are designed to support excellent Principal Investigators at the career stage at which they are starting their own independent research team or programme. Applicant Principal Investigators must demonstrate the ground-breaking nature, ambition and feasibility of their scientific proposal. Starting Grants may be awarded up to a maximum of €1.500.000 for a period of 5 years.